QB Copper Recycling is an expert in aluminium recycling in Perth. Aluminium can 100% be recycled and has the capability to avoid any loss of product during the recycling process. At QB Copper and Scrap Metal Recycling, we use eco-friendly methods of recycling that ensures only 5% of products to be wasted. Aluminium is among the most common types of metals used and that gets recycled. 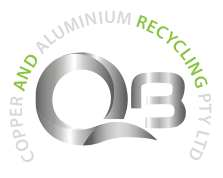 QB Copper Recycling recycles aluminium products. Your first thought might be soda cans, but there are many more products containing aluminium that can be recycled. Household Appliances – That old washing machine and dryer is made of metals, including aluminium. QB Copper Recycling will buy your old appliances to recycle. Cars – What’s under the hood of the car? Plenty of metals. And, it is not just what is under the hood. Does your car have aluminium rims? We’ll recycle them. We recycle old and scrap cars for their scrap metals, offering our customers great cash. Aluminium Lawn Furniture – That old lawn furniture that you are ready to upgrade can be in any condition, and we will recycle the aluminium furniture to newly recycled aluminium for cash for you. Aluminium Siding – Aluminium siding is another type of aluminium product that you can have recycled at QB Copper Recycling. Storm Doors and Aluminium Framed Windows – Recycling aluminium storm doors and aluminium framed windows are another form of collecting cash for aluminium recycling. At QB Copper Recycling, we recycle all types of aluminium, Copper Scrap by paying our customers cash. At QB Copper Recycling, we encourage you to use the recycle bins to dump all your aluminium wastes. This is a very popular material to recycle, and the most valuable one compared to all other items. 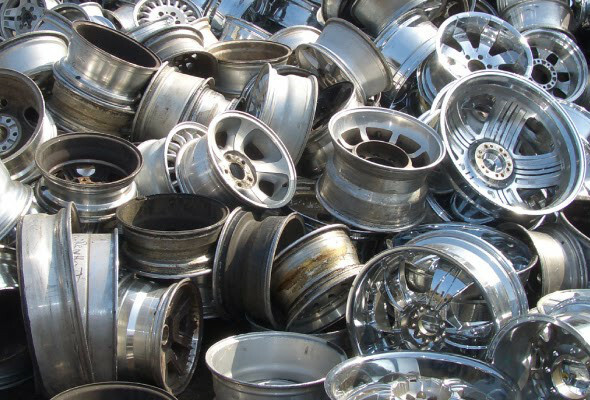 More than thousands of aluminium products are recycled every day. We tend to actively focus on aluminium products because it is profitable and saves enough energy. Aluminium items can be recycled for many times and can be used for the same material again. Flexibility, profit and energy saving ability make aluminium a prime product for QB Copper Recycling. There are plenty of benefits in recycling aluminium. Saves energy- if we manufacture this element, it will consume a lot of energy and the process is complex. If we directly Recycle Aluminium Scraps, not only do we save the complex process, but we also save the energy as it only takes 5% of the energy to recycle this element. Can be recycled forever- this is one material that can never wear out, in fact, we can recycle aluminium for good! Saves from mining other elements- recycling aluminium saves us from mining other elements to make aluminium. This is also helpful in saving the environment as well. Besides aluminium, we also recycle copper, iron, car batteries, brass, lead, steel, cables, etc. Whether for your house or for your office, if you want to get rid of your scraps, call us or complete the form on our website to hire our recycling bins appropriate for your scraps. Gather your aluminium scraps today, and give us a call!